Last Chance to save up to $400 to MDRP 2015 is THIS Friday, 6/26. PLUS! Take an additional $100 off when you use the code XP2058BLOG | $500 in total savings! Register now. Your successful compliance with the VA's contractual and statutory requirements can spell the difference between profitable partnerships and drawn-out audits. At the 20th Annual Medicaid Drug Rebate Program Summit, join us during the Pre-Conference event titled, "Pharmaceutical VA Contracting and Compliance Summit." This half-day summit is ideal for pharmaceutical and biotech manufacturers looking to comprehensively tackle the challenges of designing and complying with the complex - but highly lucrative - contracts in this sector. 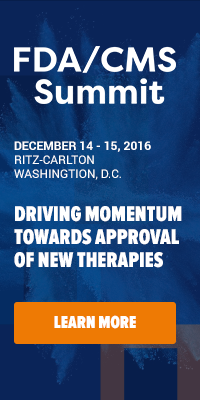 Download the updated MDRP brochure for more Summit details. This half-day summit is part of the Platinum Pass, which gives you access to the full three days of the Medicaid Drug Rebate Program Summit - the best value! Registration rates go up after this Friday, June 26th. Save up to $500 off standard registration, be sure to use priority code XP2058BLOG | Register here. Ensure you have the most comprehensive educational experience over three days with unparalleled access to government officials creating regulatory rules, the industry leaders interpreting them, and the pharmaceutical executives implementing them. This is your opportunity to benchmark best practices and gain solutions to overcome new operational challenges brought on by AMP Final Rule, 340B, Medicaid Expansion, Class of Trade, Fair Market Value, FSS, VA, OIG, and other critical government programs. Reserve your seat today at the most comprehensive MDRP event to date!